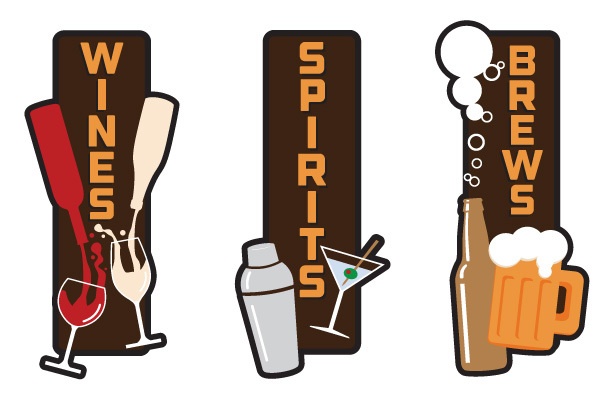 The city of Fridley owns and operates two municipal liquor stores. 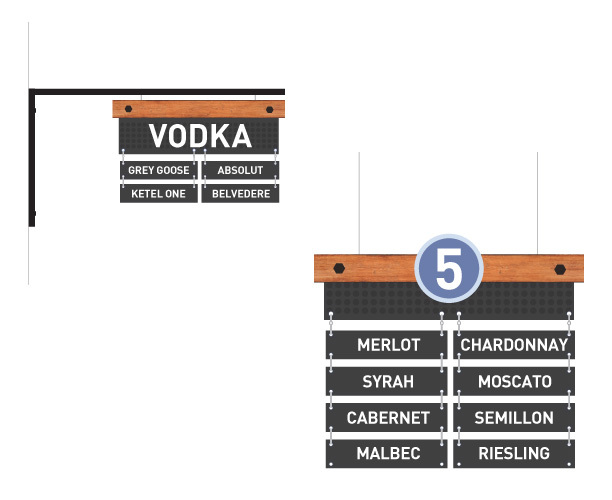 They have a core of loyal customers, but wanted to expand appeal to other Fridley and non-Fridley residents. 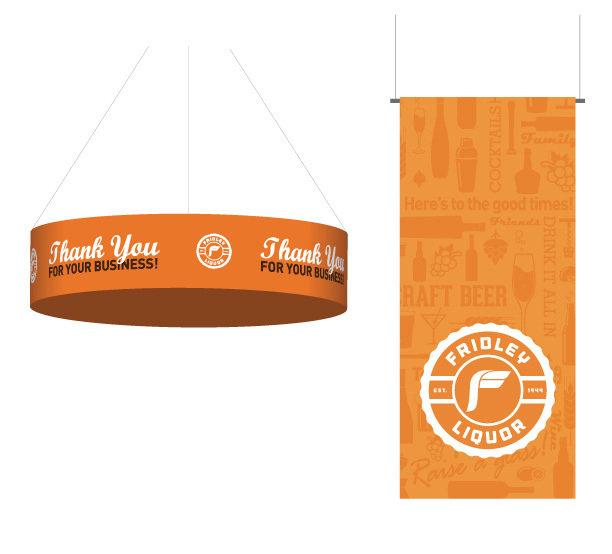 Fridley Liquor was very much in need of brand refresh which we began with a logo redesign, followed by in-store signage development for their new store. 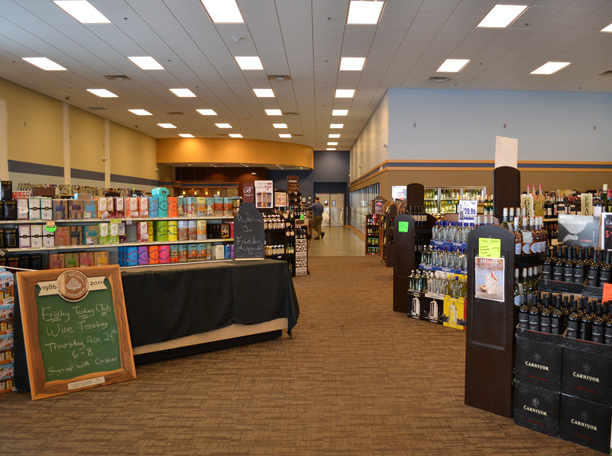 The new Fridley Liquor store provided a great location that is easy to access and a lot of space to work with. Space, however, was also a problem. The new building has a very tall ceiling and made the store seem very empty. Our goal was to utilize the considerable ceiling height to provide some eye catching and useful signage and imagery.